It seems as though silhouettes have once again become popular for the first time since Victorian times. They offer us the chance to experience an enchanting and abstract world of fantasy and wonder. Or, if they’re like Limbo, Badlands, and the upcoming Orphan, then expect to be unnerved and freaked out by the unsettlingly beautiful imagery. Another game is trying the creepy approach using the silhouette design, conveying an emotional attachment of isolation, dread, and surrealism into a story of exploration and survival. Yes, Feist is beautiful. The visual representation takes the silhouette approach as the foreground, with the background blending various tones and details in a watercolour effect. It’s all pretty spectacular and with the level of detail in certain organic foreground objects such as water, rain and snow. This glorious art-style perfectly creates a sense of dread and despair, a world that’s hollow and empty, but also filled with unknown danger. Feist tells the story of a little critter following a tribe of angry creatures, who hunt and eat his kind throughout the forest. Escaping a wooden crate, the critter must traverse through woodlands, mountains, caves, and swamps in order to find someone they have taken. Along the way, you meet each hunter and through certain events, killing them one by one. It’s a simplistic narrative that does have meaning, and the both plot and art style complement each other brilliantly – along with a haunting soundtrack that perfectly creates the intense and creepy atmosphere. The gameplay’s simple and enjoyable, designed as a side-scrolling platformer in the vein of Limbo, but with more emphasis on action as you interact with the world to activate booby traps and grab various items to use as makeshift weapons. These are some great ideas that push the element of survival, and gives the player the freedom to fight back in any manner they see fit. The puzzle elements are well crafted and feel organic, as if they’re linked to the world itself. This also means some puzzles are obscure and require the use of multiple objects to allow the critter to traverse hard to reach places, or to use the physics of the gameworld to set of traps that block your path. Some of these puzzles are great, others are too obscure, and you can easily get lost on what to do. One major problem is the balancing of certain mechanics and NPCs. Many NPCs feel overpowered,, and usually hang out in groups of half a dozen. It doesn’t help when NPCs can speed up to attack you, jump at you from off the screen and perfectly hit you, or shoot projectiles with pin point accuracy. With being able to fire off screen, NPCs have the best of luck – so much so that they can fire a needle, have it follow you for half a mile, hit you and cause you to fall into a trap where you’re killed instantly. This happened more often than I would’ve liked it too. The game seems to think its Gears Of War, as it unloads dozens of enemies onto a critter who has minimal attacks. The critter can pick up a stick or grab a flying enemy and use it as a gun to fire projectiles. These are good concepts for a survival game, but flawed due to the stick breaking too easily on most NPCs. The projectile firing NPC only takes one or two hits from another enemy when it is held by the critter, and the sheer number of foes that will pop onto the screen at one time means this tactic is useless with a single shoot weapon, as many NPCs can seemingly rapid fire and you have no chance if your weapon cannot do the same. It was so painful to play and checkpoints at these specific points seemed so far from each other. It’s as though the developers thought of a way to purposely make the game not only tough, but also a little annoying to play. I know it’s meant to be a challenge, but it’s unfair in many respects. Information is kept to a bare minimum, which is fine in some cases, but when the game just tells you to “pick up with X” and “shoot with C”, you get confused as to what the hell you’re meant to pick up and shoot. Again, it’s keeping things on the low to make sure you’re either lost on what to do, or frustrated that the game couldn’t add another couple of words to simply say “press X to pick up flying enemy” and “press C to make it fire a needle”. However, the game did better at the boss encounters, as these battles can be brilliantly intense and brutal. While being a little difficult at times, the game does give little hints on what to do and the trial and error mechanics here are better designed than the rest of the game. For bosses, this style of manic and obscure gameplay works — for the smaller enemies that swarm, it doesn’t. I would’ve enjoyed this game more and rated it higher if it weren’t for its balancing issues and the overwhelming nature of cramming in a ton of enemies in the wrong situation. The nail in the coffin was the finale, where the world and path became so obscure that I couldn’t break through and finish the game within a reasonable amount of time or without a dozen or so angry rants and f-bombs. It’s a shame, as the biggest problem here is that the world is so beautiful to look at and the game is so immersive; but for most of the game, you’re forced to sprint like mad, to panic, and run around confused over huge numbers of NPCs and unclear objectives. 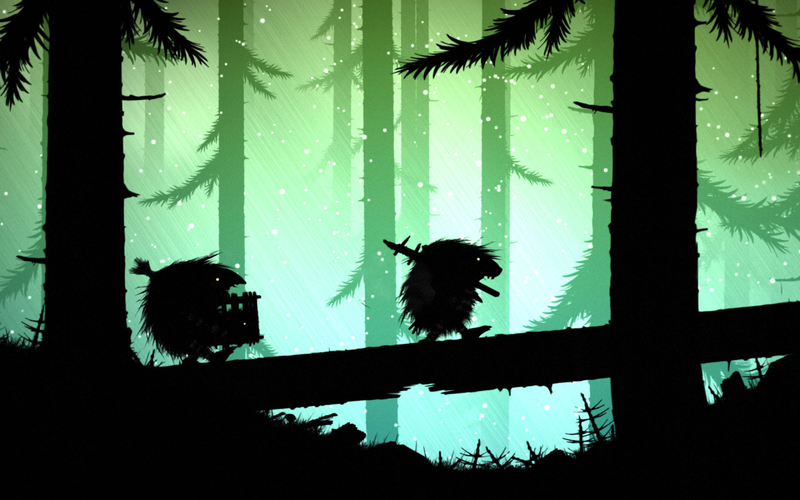 Feist is a stunning game and one that does a good job expanding on games like Limbo, but falls short in some areas. Limbo was perfect for its trial and error gameplay that was both fun and intelligent, without ever being frustrating and rewarding you with good pacing and immersion. Feist takes some elements and implements them right, but it then forces a host of mechanics and concepts that are best left alone, or at least ones that should be tweaked for a fair and more enjoyable game.